Robot X társasjáték - Magyarország társasjáték keresője! A társasjáték érték! A Robot X egy nagyszerű társasjáték, 2 - 5 játékos részére, az átlagos játékidő rövidebb, csak 30 - 45 perc. A társast, 8 éves kortól ajánljuk kipróbálni. A játékmenet erősen épít a kollekció gyűjtés, az aukció/licit, az egyidejű akciók és a pakli építés mechanizmusokra. Robot X is a funny card game for two to five players of age 8 and up. During the game the players have the opportunity to build their own automatic helpers! 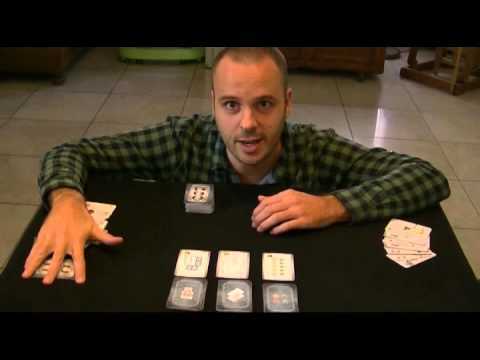 Each player starts with seven cards on hand. Those cards may contain different parts of robot, 200 and 300 money bills as well as special actions. In the middle of the table players place three stacks of different bonus cards. The gameplay is divided into players turns, during which they can perform one of four different actions. The player may put one of his cards with a part of robot to bidding. The person that gives the highest price for it has to place it in front of himself, adding it to the robot he is building. The next action that may be performed is putting one of the cards from hand to the players bank, in order to store money. The players may also buy bonus cards from the middle of the table or play the special action cards from hand. When one of the players builds the complete robot, the game finishes and the points are summed up from the built robots and fulfilled bonus cards. The goal of each player is to build the most valuable robot and at the same time to thwart the opponents’ plans. Due to the necessity of bidding and possibility of playing the special action cards the gameplay is filled with negative interaction so enjoyed by many players.